Joseph Drouhin’s Beaune Clos des Mouches Blanc is an oxymoron of a Burgundy: an insider’s wine that’s normally made in generous quantities. While some wine oenophiles may turn up their noses at the very idea of white wine from Beaune—not to mention the appellation in particular, as it possesses no Grand Crus, red or white—this Premier Cru is way more interesting, and serious, than it has any right to be. 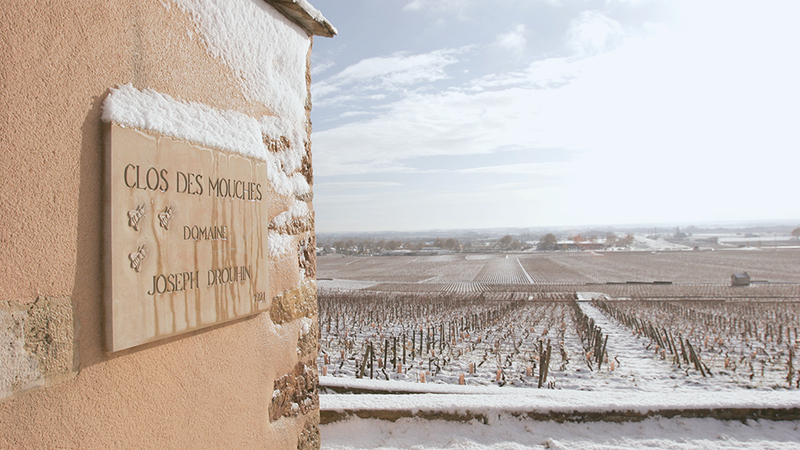 Long-time fans of Drouhin’s pure, elegantly styled white wines are well aware their Clos des Mouches blanc is an outperformer, and a chameleon that can mimic wines from Grand Cru sites on the Côte de Beaune. Time and again, in my tastings of new vintages chez Drouhin, the Clos des Mouches Blanc has taxed my lexicon of descriptors—and that’s a good thing. Maison Drouhin was founded in Beaune in 1880 by Joseph Drouhin, then just 22 years of age. But it was his son Maurice who was largely responsible for launching the family’s domain operation: one of the first vineyards (along with Clos-Vougeot) he acquired was the Clos des Mouches. And he was obviously enamored of the site, as he purchased 41 different parcels from 8 owners beginning in 1921—14 hectares in total. The land had been planted just after phylloxera and was essentially 100% Pinot Noir, with some scattered Pinot Blanc and Pinot Gris vines, when Drouhin purchased it. Although mouches means “flies” in French, Beaune Clos des Mouches was actually named after the bee hives that were kept in this sunny, enclosed cru; the bees were called mouches à miel (literally, “honey flies”) in the local dialect. Much later on, Robert Drouhin, who assumed direction of the firm in 1957, made massive purchases of vineyards in the late 1950s and early ‘60s. 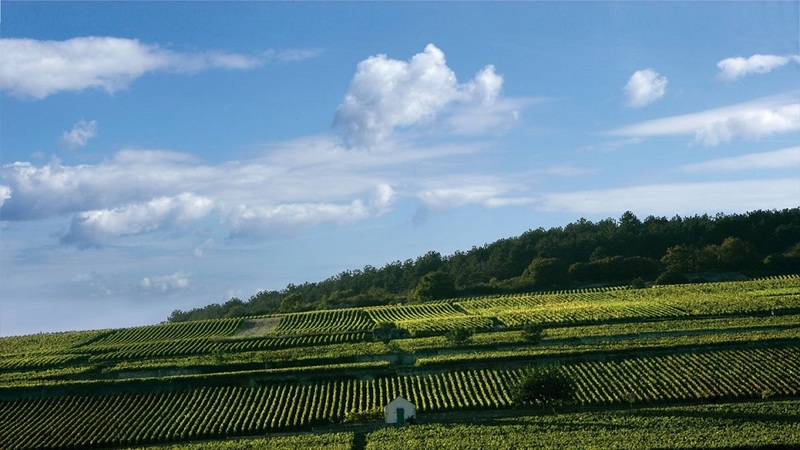 Today, the Drouhin family has one of the most important domains in Burgundy, owning just over 78 hectares of vineyards in the Côte de Nuits, Côte de Beaune, Côte Chalonnaise and Chablis, fully two-thirds of which are classified as Premier or Grand Cru. Drouhin supplements its production by purchasing grapes, must and wine, mostly in village or regional appellations from grower partners but in a few cases in Premier and Grand Crus. The AOC of Beaune is the largest on the Côte d’Or, consisting of just over 400 hectares (about 1,000 acres) of village and Premier Cru land. Beaune’s Premier Crus, situated mostly on clay and limestone soil on gentle slopes, span the length of the appellation, with vineyards on the north side of the village typically producing fuller, stronger wines while those in the southern section, closer to Pommard, frequently show an element of delicacy that is more akin to Volnay than to Pommard. Drouhin’s extensive acreage in Clos des Mouches is situated on a mild incline on the mid-slope at the southern end of the appellation adjacent to Pommard, facing east/southeast. The Chardonnay and Pinot Noir are planted in a patchwork of parcels whose range of soil combinations (rockier in the upper section, with various types of limestone and marl in the center) is largely responsible for the complexity of both of these wines. In some past vintages I have noted similarities between the Clos des Mouches Blanc and Le Montrachet and perhaps this can be attributed to the element of reddish marl found in parts of Clos des Mouches. 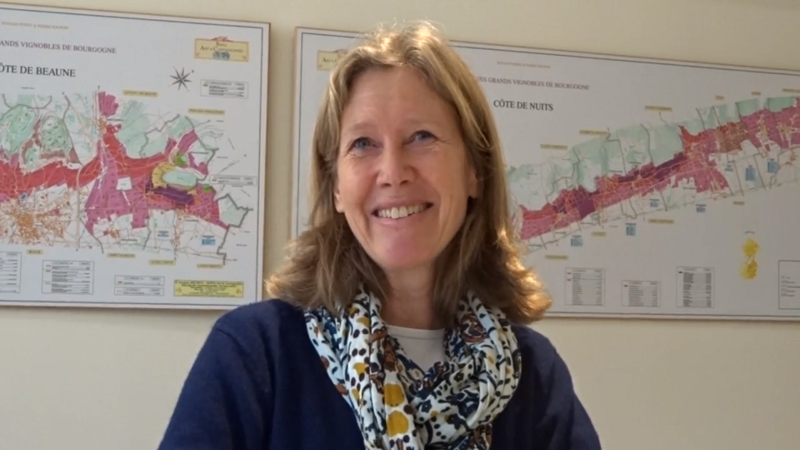 On at least a couple of occasions, winemaker Véronique Drouhin has described the Clos des Mouches Blanc as combining characteristics of Bâtard-Montrachet and Corton-Charlemagne, and similarities may be due to the brownish limestone in Bâtard and the white marl in Corton-Charlemagne, soil elements that are found in parts of Clos des Mouches as well. The average age of the Chardonnay vines in Beaune Clos des Mouches is now between 30 and 35 years, according to Drouhin, who noted that the earliest-planted Chardonnay parcels still contain a few vines of Pinot Gris. There are—and will continue to be—a considerable number of Drouhins involved in the family business. Véronique and her brothers Frédéric, Laurent and Philippe, all born in the 1960s, represent the fourth generation of Drouhins, and their total of eight children, the oldest of whom are now in their 20s, will make up the fifth. The four siblings followed in the footsteps of their father Robert, who took over the family business in 1957 at the age of 24 following a stroke suffered by Maurice, and ran it for the next 47 years, investing in more vineyards, particularly in Chablis, founder Joseph Drouhin’s original home. Robert’s own parents both died by the time he was seven years old, and he was adopted by his aunt and uncle (Maurice). Robert Drouhin hired Laurence Jobard as enologist and technical director in 1976 and she spent 30 years at Drouhin prior to retiring. In the meantime, Robert made a major investment in Oregon, establishing Domaine Drouhin Oregon by purchasing 100 acres of land in the Willamette Valley in 1987 and building a winery there in 1989. His daughter Véronique, who had just finished enology school in Beaune and began working in Beaune as an enologist, took over winemaking duties in Oregon from the first vintage, 1988. In 2006, following the retirement of Jobard, Véronique was asked to make the family’s wines in Burgundy as well and to preserve the Drouhin style. Robert Drouhin also hired enologist Jérôme Faure-Brac to replace Jobard, and he and Véronique Drouhin took over winemaking responsibilities for the firm’s Burgundies—a smart decision as the harvests in Burgundy and Oregon frequently overlap. Veronique’s oldest brother Philippe has been responsible for the Drouhin vineyards since 1988. It was he who directed the family’s transition to organic viticulture at the beginning of his tenure, beginning with Beaune Clos des Mouches and Corton-Charlemagne, and who subsequently spearheaded their adoption of biodynamic farming in 1995 and 1996. (Philippe has also been responsible for overseeing the vineyards in Oregon since the beginning.) Frédéric Drouhin, who joined the company in 1995, serves as president of Maison Joseph Drouhin in Beaune, while the New York-based Laurent Drouhin is in charge of the company’s market development in the United States and the Caribbean. 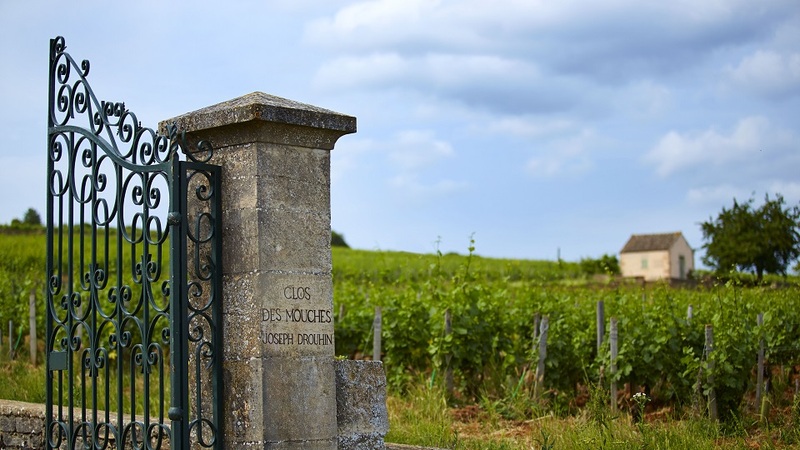 The Drouhins virtually always begin their Côte d’Or harvest with Clos des Mouches, as the older vines here carry low crop levels and ripen quickly. The team normally begins with Chardonnay, then begins bringing in the Pinot Noir a couple days later. But owing to the large size of the holding, the harvest routinely requires several pickings over a period of five to seven days, and multiple vinifications. 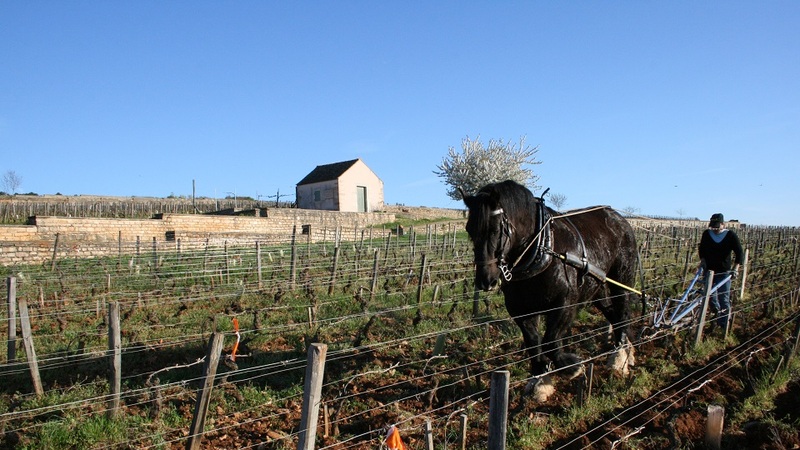 “We look for perfect ripeness,” said Véronique Drouhin, “but that doesn’t necessarily mean that the parcels come in with the same potential alcohol levels.” Drouhin added that the vines in the clos normally retain healthy levels of natural acidity. In years in which there is significant oidium or botrytis, the Chardonnay grapes are sorted on a table de tri. The pressing is very slow and since 2005 Faure-Brac has separated the press wine. Typically it’s the only portion of the wine that may be acidified in some vintages but Drouhin and Faure-Brac are just as likely to leave it out of the blend if they don’t like it. The wine settles in tank overnight, without being cooled or fined, then goes directly into French oak barrels (all 228-liter format, about 25% of them new, and mostly air-dried for 30 months) with only its fine lees. The amount of batonnage depends on the vintage. In warm, generous years the team may do minimal stirring of the lees but in leaner years the lees may be stirred regularly until the end of the malolactic fermentations. “In 2006, for example, we did almost no stirring of the lees, but in 2007 we did a lot,” noted Drouhin. The Clos des Mouches blanc spends 12 to 15 months in oak prior to being assembled for bottling, at which point it may be lightly filtered depending on its turbidity; the wine may also be fined with bentonite—or not—at the bottling. I tasted 19 vintages of the Clos des Mouches Blanc with Véronique Drouhin in December in the 18th-century Maison du Chanoine, part of the family’s sprawling complex in the center of Beaune, which includes an ancient cellar that was owned by the Dukes of Burgundy as well as the caves and cuverie of the Collegial Notre Dame (one cellar in this structure dates back to the 13th century). 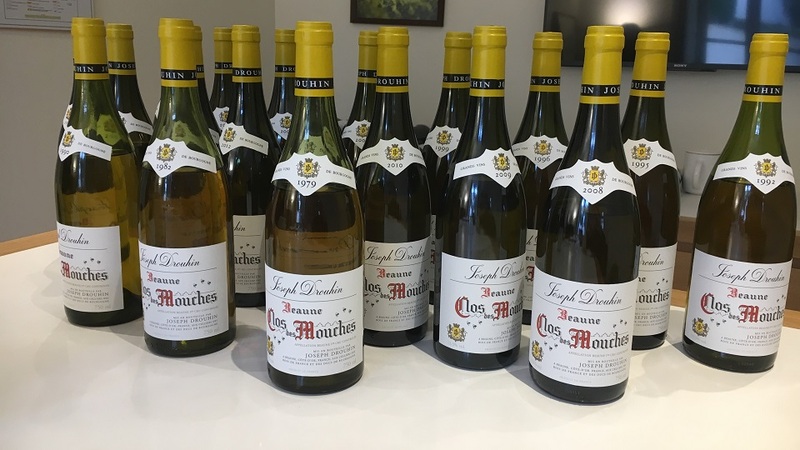 I have always had the impression that the Clos des Mouches Blanc was one of Drouhin’s longest-aging white wine and, with just a few exceptions, the vintages I tasted were evolving very slowly and were still in fine form. One factor that helps to explain the consistently high quality of this bottling is the fact that because the team begins with such a large quantity of fruit, and multiple lots, they are normally willing to declassify some of their barrels. “Maybe a couple barrels are too oaky, or not refined or elegant enough,” noted Drouhin, adding that as Clos des Mouches is a flagship wine here, “we are willing to make sacrifices to ensure high quality.” Although Drouhin normally offers copious quantities of both their white and red Clos des Mouches as there are seven hectares of each, the wine was downright scarce during three consecutive hail-plagued vintages in 2012, 2013 and 2014, as yields were infinitesimal—i.e., between 4 and 11 hectoliters per hectare—and 2015 and 2016 were still well below average. Drouhin generally advises her clients to begin drinking the Clos des Mouches blanc after 6 to 8 years but believes that bottles from good vintages can age well for 15 to 20 years. That proved to be a conservative estimate for the better vintages we tasted, but I should note that they had never been moved from temperature-controlled storage, much less shipped to distant markets. The bottles I sampled had all been made in the family’s “new” winery (built on the outskirts of Beaune in 1972) and kept there from the outset. Drouhin is convinced that incidents of premature oxidation are mostly due to cork issues even though she is well aware of other potential causes. (The bottom line, she says, is that only cork variability—and possibly other issues during the bottling process—can explain “why in a box of 12 bottles 4 might be premoxed and the other 8 totally fine.”) For example, she noted that the gentler pneumatic presses that came into vogue in Burgundy in the mid-1990s could have been a cause of premature oxidation, but added that Drouhin has never added much sulfur prior to the alcoholic fermentation (she compared early sulfur treatments to raising a child in a bubble, with no defense against infections) and nowadays is using even less sulfur to protect the juice early. But she has not reduced the amount of free sulfur at bottling—30 to 35 ppm—in recent years. Moreover, in contrast to some of her colleagues on the Côte de Beaune, Drouhin does not believe that batonnage has ever been an important trigger for premature oxidation, noting that lees stirring was commonly done before premox emerged as a problem for Burgundy. The overwhelming majority of the vintages I tasted at Drouhin were in superb condition, and bottles from 1996 and 1995—the first two vintages in which premature oxidation was a serious problem with white Burgundies—were vibrant and youthful. Two older vintages, 1992 and 1979, were in fine form 26 and 39 years after the harvest. Both of these wines were made from generous crop levels—49 and 55 hectoliters per hectare, respectively—and feature moderate acidity, but clearly possess one crucial key to longevity: balance. Perhaps most important, the three youngest vintages I tried—2016, 2015 and 2014—were especially complex and mineral-driven, suggesting that the current team of Drouhins (and Faure-Brac) is a well-oiled machine.